*** OUT OF PRINT *** Please check with your local quilt shop to inquire if they still have copies available! 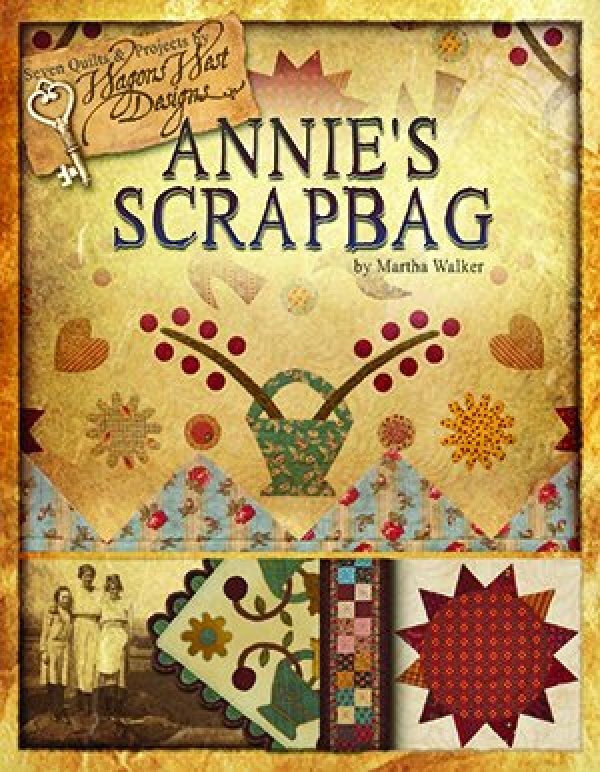 Use your favorite scraps to make seven nineteenth century inspired projects from Annie's Scrapbag, the first book in the Scrapbag Girl ® series! The four quilt patterns include the 44" x 44" "Annie's Scrapbook" (detail on the cover), the "Blooms Doll Quilt", "Garden Girl", a 37 1/2" x 56" wall quilt, and the 54" x 72" pieced "Bunkhouse Bedroll". Full size applique placement diagrams for the large panels included for easy placement! You'll also find three wool applique projects, including "Gathering Baskets", "Fancywork Journal Cover", and Countryside Needlebook, which features pages to keep your needles organized by type!